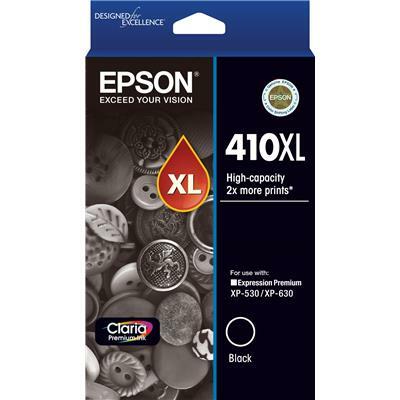 Epson 410XL Epson High Capacity Claria Premium Black Ink Cartridge for the above Epson printers. Approx 500 pages. Yields based on ISO/IEC 24711 or ISO/IEC 29102 tests in default mode printing continuously.